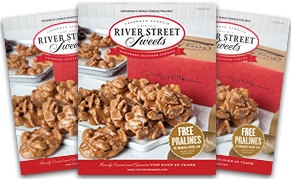 Candy Gift Boxes from River Street Sweets make gift-giving easy, any time of the year. 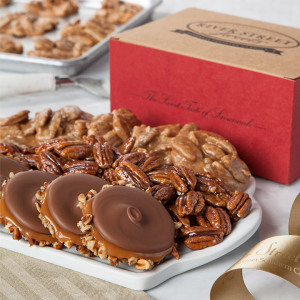 Gourmet Gift Boxes filled with our world famous pralines, delectable chocolate bear claws, and traditional favorites like southern divinity are perfect for any gift giving occasion. 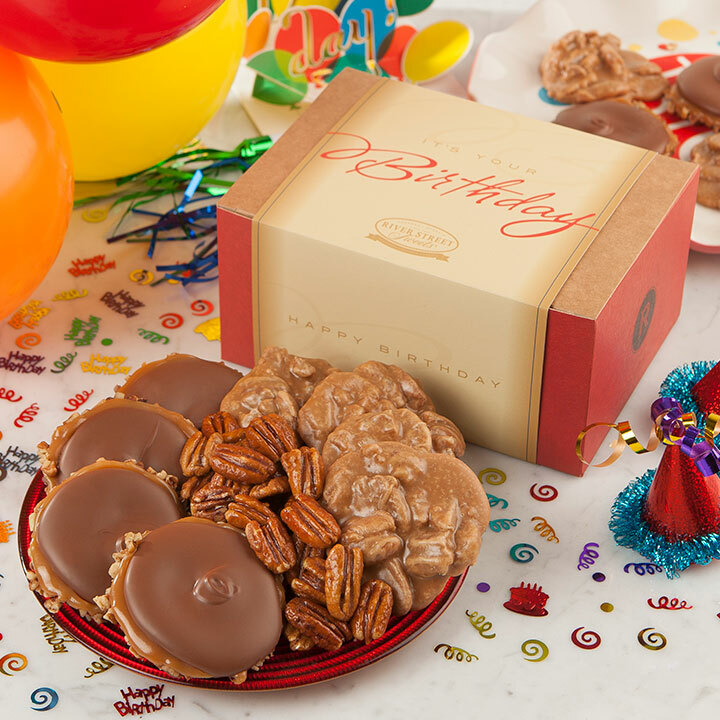 Our Candy Gift Boxes are the best way to wish someone special a Happy Birthday, to say thank you for a job well done, or to celebrate a holiday. 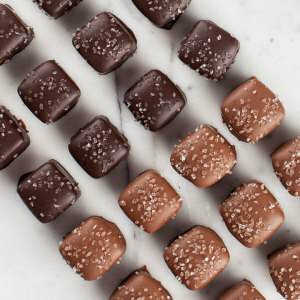 Any reason is a good reason to share these unforgettable, gourmet candies. 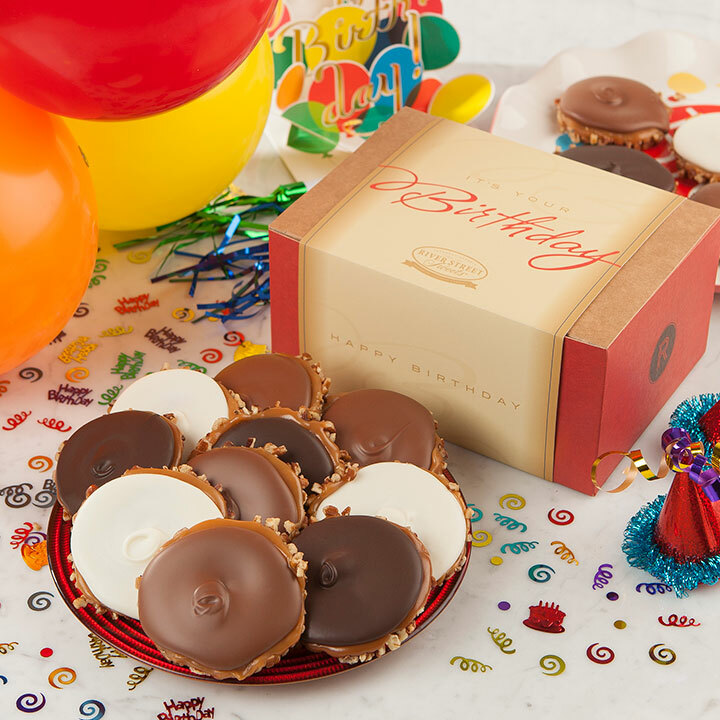 Rich, smooth chocolate smothering buttery caramel and coating favorites like pretzels, Oreos, and crunchy peanuts fill our Chocolate Gift Boxes. 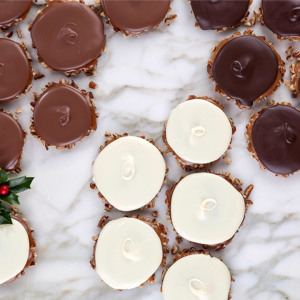 We believe there's truly no such thing as too much chocolate. 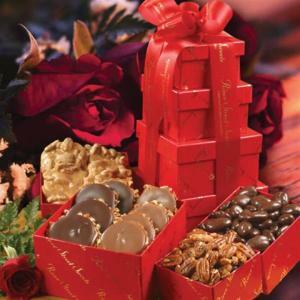 From the lusciousness of truffles to sea salt caramels covered in milk chocolate, our chocolate confections are the candies of dreams and all can be ordered in an attractive gift box. 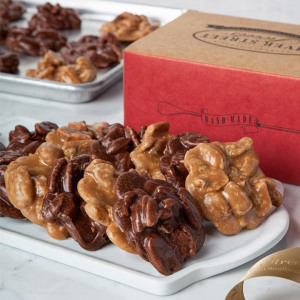 Send a gift box with assorted chocolate bear claws (also known as turtles). 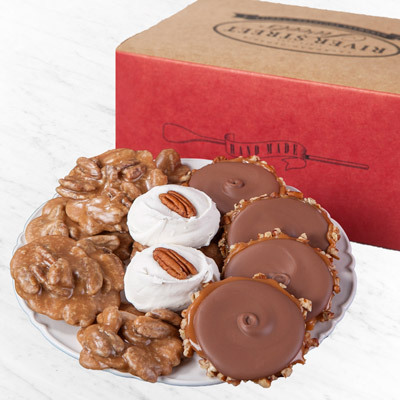 The assortment includes milk chocolate, white chocolate, and dark chocolate bear claws. 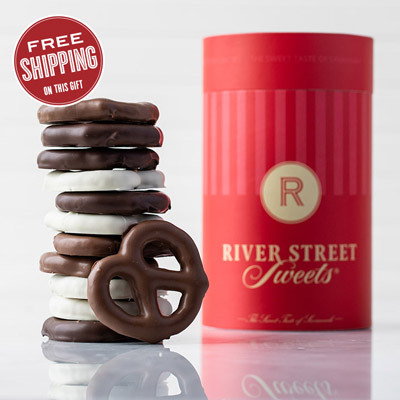 For the ultimate chocolate lover, opt for the Chocolate Tower. 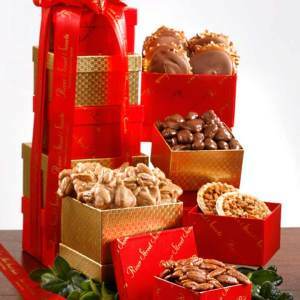 The deluxe masterpiece features stacked gift boxes filled with our hand-dipped chocolate treats including both milk and dark chocolate bear claws, chocolate sea salt caramels, chocolate peanuts, chocolate covered Oreos, chocolate dipped pretzels, truffles, and southern fudge. 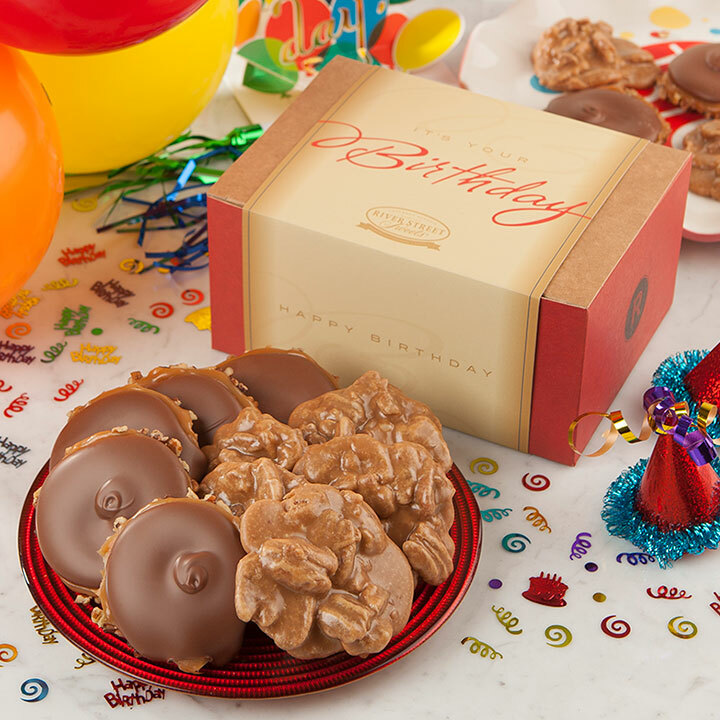 Celebrate a milestone birthday, anniversary, or graduation with a unique gift. 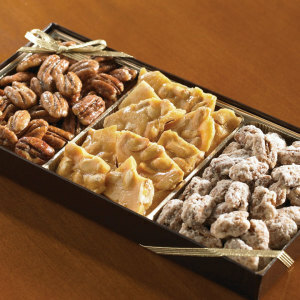 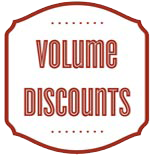 Select from Gourmet Gift Boxes that include signature southern favorites like pralines, divinity, peanut brittle. 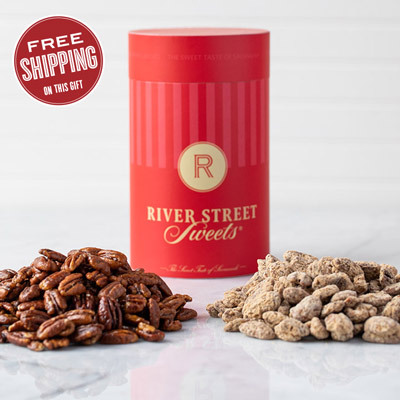 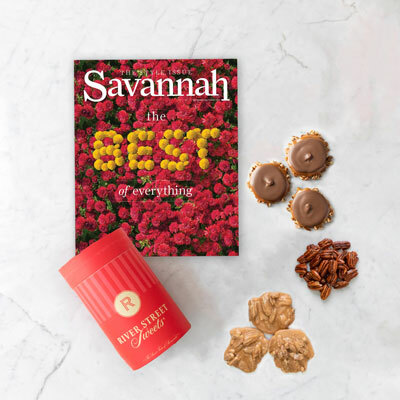 The Savannah Sampler Gift Box not only includes these signature southern favorites, but it also features glazed pecans, milk chocolate bear claws, and comes in a stunning box with a portrait of the River Front. 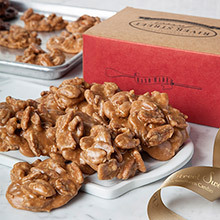 It's a gift they won't ever forget. 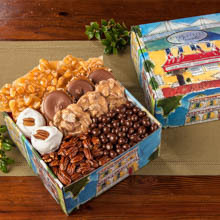 Holiday shopping is quick and easy with our Christmas Gift Boxes and other holiday-themed gift items. 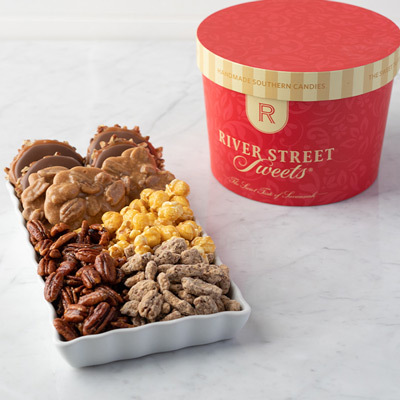 Let mom know how much she is appreciated and loved with Just For Her, a holiday confectionery gift perfect for Mother's Day or her birthday. 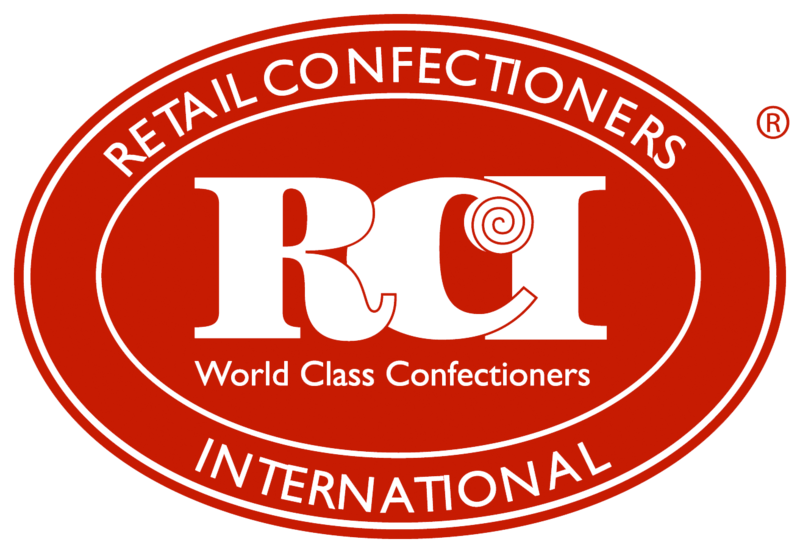 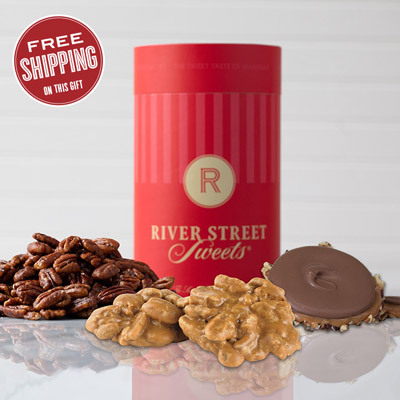 It's filled with an assortment of our best hand-crafted candies including pralines, glazed pecans, truffles, and bear claws. 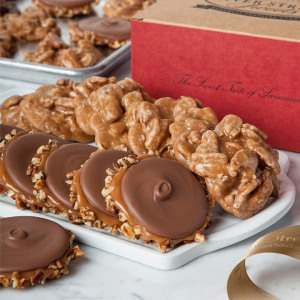 Not only will she love the treats, but she'll adore the beautiful keepsake tray. 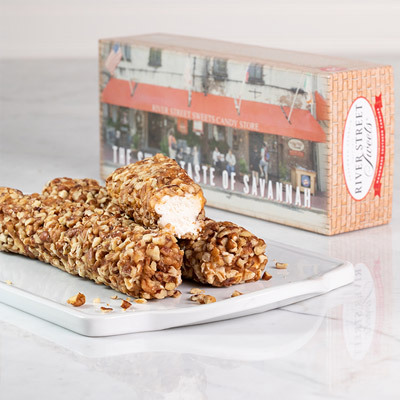 Nothing is more southern than sharing delicious food, but you don't have to be from the south to share decadent candies with family, friends, and business acquaintances. 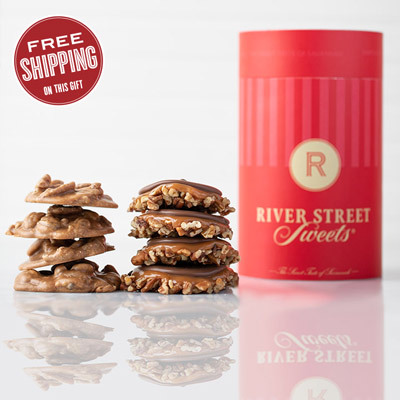 River Street Sweets has been making hand-crafted artisan candies for more than four decades. 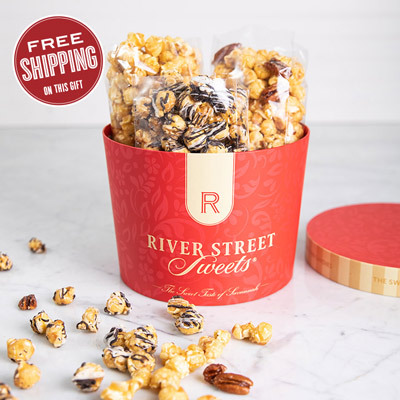 Today, you can select from an array of Gourmet Gift Boxes designed for any occasion and guaranteed to satisfy every sweet tooth.